This year’s World Beer Cup had a record 4,754 beers entered from 1,403 breweries in 58 countries, each vying for one of the 282 medals—a gold, silver, and bronze in each of 94 beer style categories—that could be awarded. South L.A.’s Ohana Brewing Company, which just opened its Alhambra tasting room, was awarded a silver medal in the Belgian- and French-style ale category for its Saison Noir. Mocha Machine from Beachwood BBQ & Brewing in Long Beach nabbed up a bronze medal in the coffee beer category. The brewing team at Pasadena’s Haven Gastropub earned a silver medal for Hops Inc. in the American-style strong pale ale category. 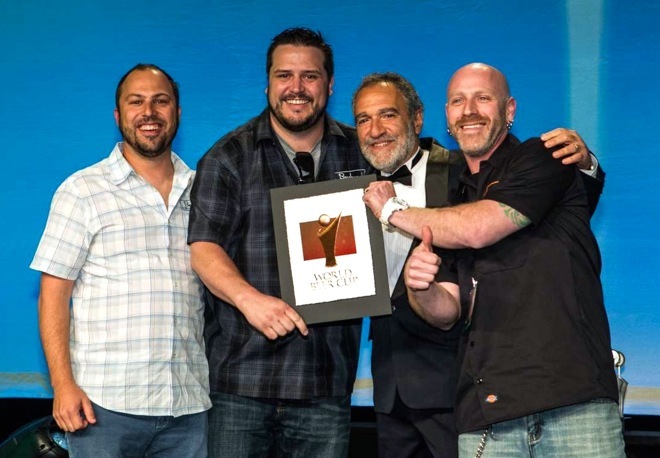 TAPS Fish House & Brewery—with locations in Brea, Corona, and another coming to Irvine—took home an impressive two medals: a silver for TAPS Alt in the German-style brown ale/Düsseldorf-style Altbier category and a bronze for TAPS Saison in the French- and Belgian-style saison category. Speaking of Irvine, its veteran Bayhawk Ales earned bronze for its Chocolate Porter in the brown porter category. Oggi’s Pizza & Brewing Co.’s Barrel Aged Scottish, brewed in San Clemente, won silver in the wood- and barrel-aged beer category. The Bruery in Placentia took a silver for Oude Tart in the Belgian-style Flanders Oud Bruin or Oud red ale category, the sole category which did not have a gold medal awarded. California was the winningest state, bringing in 35 medals in total. Of those, 21 belong to SoCal breweries: four gold, 10 silver, and seven bronze. Broken down by county, that’s three for Los Angeles, five for Orange, two for Santa Barbara, and 11 for San Diego. Find more info and the full list of winners here.